“Make every shot count.” That’s MantisX’s mantra, and I’ll admit that I was pretty skeptical of this system at first. 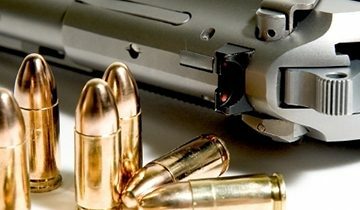 MantisX is one of the most recommended firearm trading aids, but there are a lot of gadgets out there that claim they can help you improve your shot. But the MantisX system works a little differently, and after a few sessions, you may be surprised by how much your shot improves. We certainly came away impressed. What is the MantisX System? 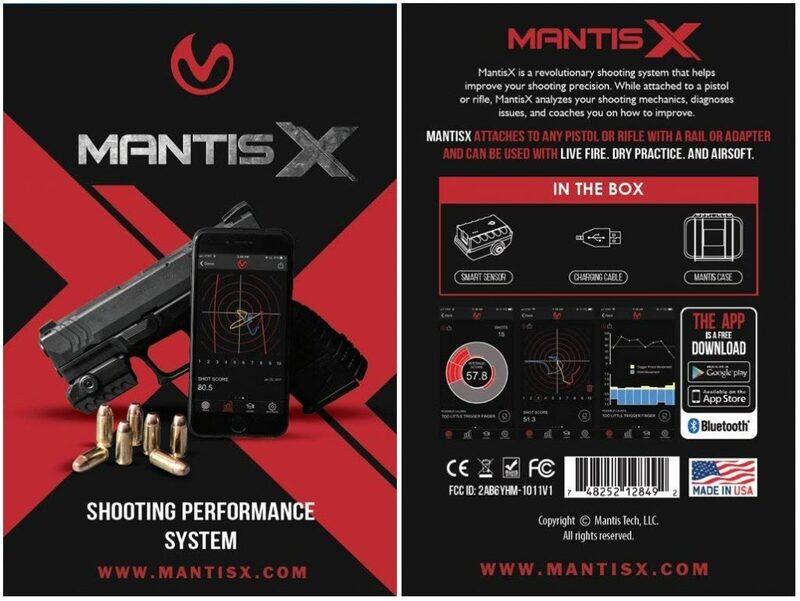 MantisX is a two-part system designed to help you improve your shooting performance. Use it for live or dry fire training to improve your shot. 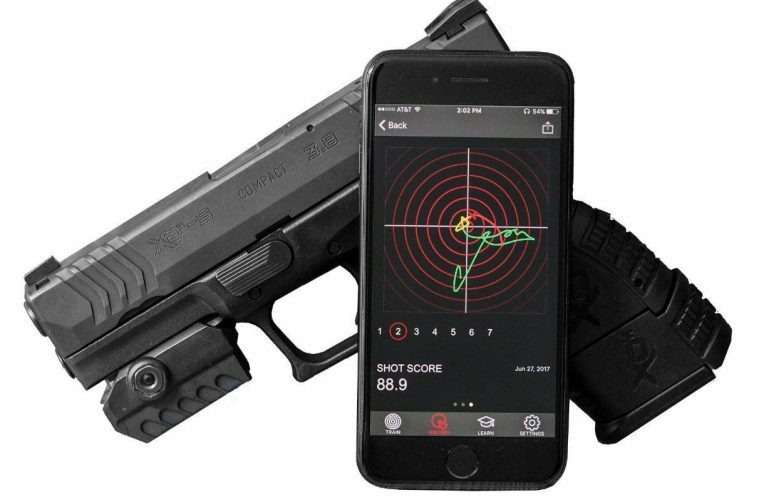 MantisX analyzes every shot you take and the movement of the firearm during the trigger pull. After analyzing your shot, the system will identify areas of improvement and provide tips to improve your precision, your score and your mechanics. The system keeps track of all of your shooting sessions and generates reports that help you identify trends, set improvement goals and measure your progress. 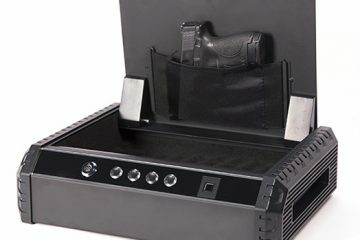 Attach the MantisX device to the accessory rail of your firearm. 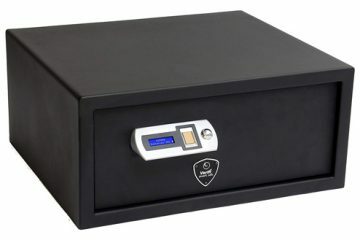 The device works with airsoft, dry soft, live fire and CO2. Download and install the smartphone application (available for both iOS and Android). Turn on the MantisX, and pair the device with your smartphone via Bluetooth Low Energy. Collect all of the data to evaluate your shooting performance and find areas of improvement. Shots are scored based on how much you moved away from your sighted position while pulling the trigger. 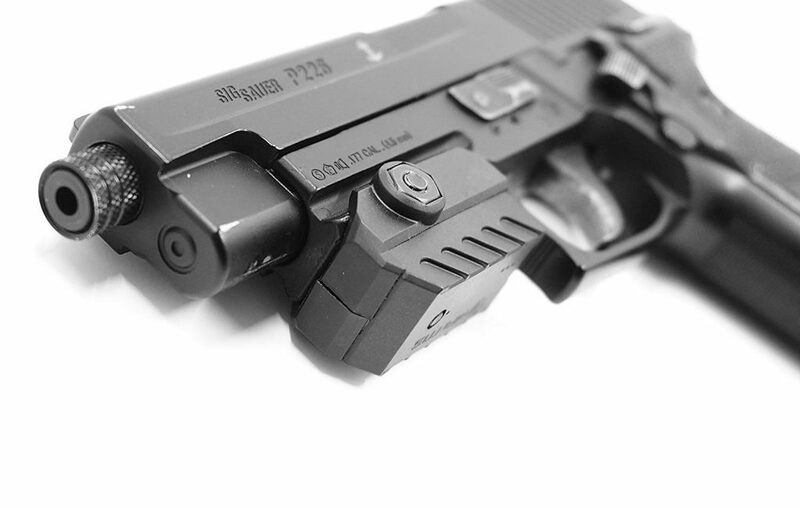 With each shot, the MantisX detects the direction of the barrel movement during the trigger pull. If you have a tendency to shoot right, the right sector will light up on the wheel. After taking a few shots, the device will show you the pattern of your movement. After analyzing a shot or a group of shots, MantisX will provide a suggestion to improve your shooting mechanics. Coaching tips are provided to help improve your next round of shooting. The system is really easy to install. Just slide it onto the accessory rail, and tighten it with a screwdriver. You can also install the MantisX onto a rail, but if you mount it to a side rail, you’ll need to change the settings to make sure it gauges your shots accurately. The app is also easy to use, and it will show you how to pair your phone with the MantisX. You’ll be up and running in no time. Training modes and courses, from beginner to advanced. Track, follow and train with your friends and family. Shot timer. See how your shot changes when you’re under duress. What Type of Data Does MantisX Provide? The aim of the MantisX system is to provide you with data that will help improve your shooting performance. What kind of data does it collect? Direction and Magnitude: Tracks the movement of the handgun barrel as you pull the trigger. The system groups shots according to similarities in movement patterns. Shot Analysis: Track each shot individually and analyze trends. 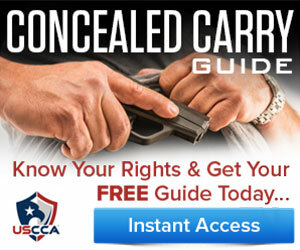 Detailed Trace: Track your hold/sighting, trigger pull, and shot breaking and recoil pattern. All of this data can be used to help improve your shot. The detailed trace feature gives you a lot of information that you can use to better your performance. After taking a shot, the app will show you a detailed little “map” of your shot (it’s actually a bulls-eye). You’ll see a blue line, a yellow line and a red line. 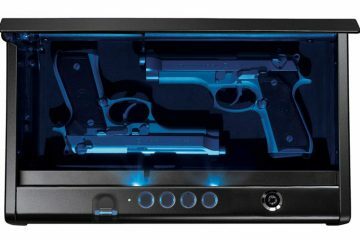 The blue line displays your firearm’s movement as you line up your sights. The yellow line shows the movement of your firearm as you pull the trigger. The red line displays the immediate recoil. You’ll also see your shot score, and the app can even give you some pointers. Maybe you need to tighten your fingers or improve your grip. These little tips can go a long way in improving the accuracy of your shot. The MantisX is able to track the little things that an observer can’t spot because they happen in a split second. What’s great about the MantisX is that it’s a training system you can take anywhere you train. MantisX says 94% of shooters improve within just 20 minutes of using the system. That’s pretty impressive, and after reviewing the system, it’s easy to see why people improve. MantisX gives you all of the information you need to improve your shot. Instead of spending hours at the range wasting ammo and not knowing what is making you miss your target, the MantisX will give you some direction and pointers to improve your performance. And the app is updated every few weeks with new features and improvements.